Come prepared to indulge at pop up cafes featuring Miami’s leading restaurateurs serving the freshest seafood. Choose your dishes as you please and pair them with complimentary all day open bars for 21 and over! And be sure to visit @sobeseafoodfest each day in August to uncover the full list of café’s during our “August Announcement Extravaganza”! 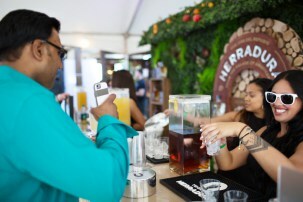 Festival tickets start at an affordable price of $45, which includes full admission and complimentary all day open bar. Choose from 60+ delicious large-portion menu items, from 18 of Miami’s best restaurants, creating item priced between $5-$8 only for the #SobeSeafood Fest day! Get ready for stone crabs, stone crabs, and more stone crabs, along with lobster tempura skewers, mahi sliders, scallop BLTs, oysters, shrimp tacos, lobster roll waffle cones, crab cakes in a shell, grilled octopus, shrimp parmesan, surf n’ turf filet and lobster, and more. 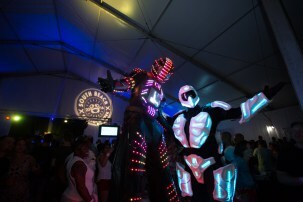 VIP tickets are $150 and include $20 worth of food vouchers, access to the VIP Hospitality Village full of private samplings, private after-party and so much more. Event is open to the public, but must be 21+ to consume alcohol. Ahead of Saturday’s festival, there’s loads of fun for the culinary inclined, including the Chef Showdown, Cooking & Cocktails at Meat Market and more. 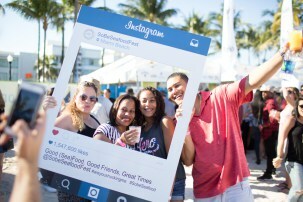 Tickets can be purchased for all events at www.sobeseafoodfest.com with additional information found on Facebook, Instagram, Twitter @sobeseafoodfest.